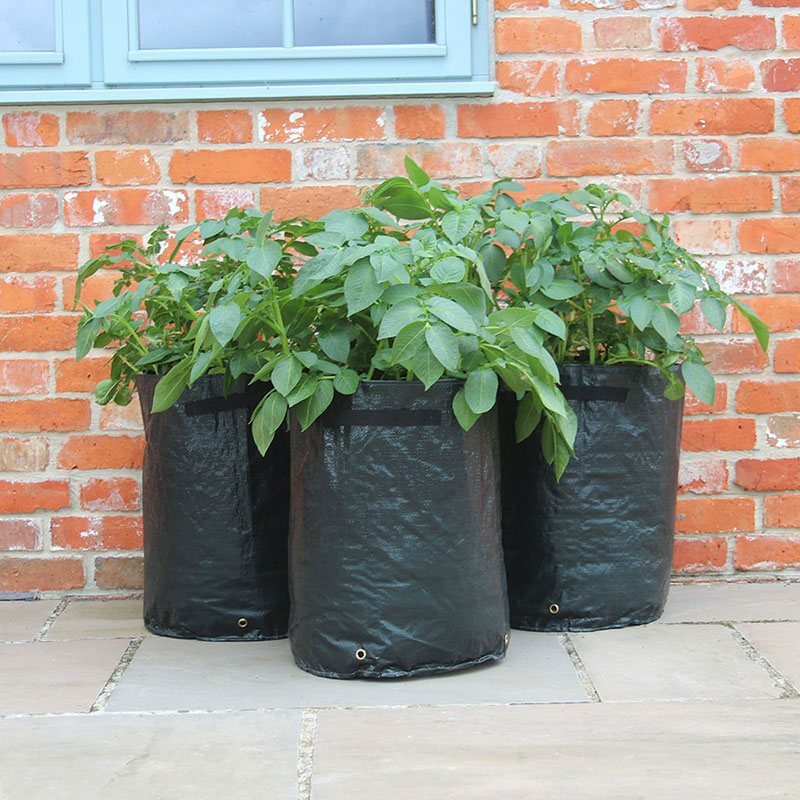 Made from a tough, woven polyethylene they have reinforced drainage holes at the base, can be easily moved using the handles on each side and come complete with detailed growing instructions. 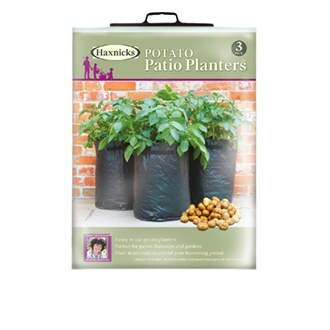 Each bag has a large 40 litre capacity. Choose your own favourite spuds to grow in the potato bag or use it for growing other root crops such as artichokes, carrots and parsnips. Size: Diameter 35cm/14in, Depth 45cm/18in.